Each three week component covers a set of basic skills needed for a foundation in agility. Whether you want an appropriate outlet for your active dog so you can direct his enthusiasm or if you want to build teamwork and confidence in your dog, agility is a great activity! 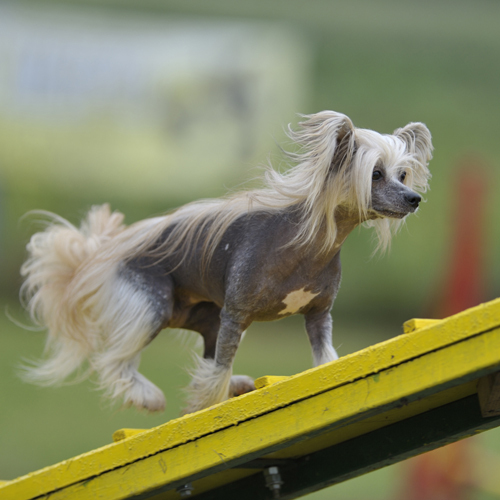 Agility courses are composed of 7+ obstacles and 6+ types of jumps. Your dog learns to speed up, turn and go forward as you direct him through the course. This 9 week beginning level class consists of 3 modules. After taking all three modules you will be able to run short sequences with your dog, signal turns, and use distractions to your advantage. Modules can be take in any order. Moving Together – Tunnels & Turns: This module introduces jumps, tunnels, and how to signal turns. Go and Turn – A-frame & Acceleration:This module introduces the a-frame and using speed to your advantage. Focus – Table & Forward Focus:This module introduces the table obstacle and creating forward focus even with distractions.